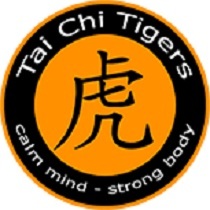 To celebrate World Tai Chi and Qigong Day, Tai Chi Tigers will be holding a FREE event for all age groups on Saturday 28 April, 10:30am – 11:30am at Dean Clough Mills, Halifax (go to Dean Mills main reception). This is a free event for all age groups and there is wheelchair access to the venue, the event will include mindfulness and movement. For further information please ring Marsha on 07810 094395 or go to the following website taichitigers.co.uk look under classes or contact info@taichitigers.co.uk. This entry was posted in Apr, Events, Health, Staying Well and tagged Tai Chi Tigers, World Tai Chi & Qigong Day. Dean Clough, Halifax HX3 5AX at 11am. What is World Tai Chi & Qigong Day? Beginning in New Zealand, World Tai Chi Day unfolds across the time zones of the world spanning 60 countries and 6 continents. In a world often dominated by negativity, the ancient Chinese arts and medicines of Tai Chi and Qigong present a spectacular visual event promoting calm and wellness both locally and worldwide. This entry was posted in Apr, Get Involved / Have Your Say and tagged calderdale, Dean Clough, Get Involved, Halifax, Qigong, Tai Chi, World Tai Chi & Qigong Day.